AnonD-424301, 04 Dec 2016It was made by Gigabyte Technology Co., Ltd but re-branded by other company's. What's the original phone? but re-branded by other company's. The power button breaks eventually, it's just a small piece of plastic, and would be an easy fix if you could get the part. They are made in India under the name Xolo X900. I use mine with the back off, you can press the power button on the circuit board with your nail. The battery is now going though, and it's soldered to the mainboard so pretty hard to replaced. You can change the settings to never sleep when on power and use it connected to the charge. If you need to unlock it, Orange were bought out by EE, so if you look at unlocking there it's £8.95 phone credit. Does Anyone Knows Which Producer Did This Phone and how is it called? (ZTE, Huawei, etc...).....exactly....a link eventualy...Thanks !!! This phone, although operates fine, has one defect. the power button constantly breaks and gets stuck inside and becomes unusable. I have this through orange and both my wife and I have had to have it exchanged 4 times in 2 years because of the same defect! Once the button is broken it is impossible to fix. Orange are always happy to replace but it will cost you £25 each time, even though this seems to be a known fault! well i cant believe howe poor this phone is. i had it. it loads of orange bloatware, extremely slow performance. and the camera was bland and lifeless images. shame because it was lightweight, and looked good. Major compatible issues with android apps. all the top games didnt run on it. And it over heated, but these were the issues i had. maybe other people have good experience. If this phone was not on orange then I would Deco get it, I know that this phones is also the lava solo x900 but I can't get it here in the UK. Is this phone supported in the Netherlands? I want to know that is this cell phone is supported in United States? maxxxx, 17 Jul 2013hi ,i just both san diego from england and im in spain,,,but when i put my spanish orange sim ... moreYour phone is locked to Orange UK. You can ask to have it unlocked by Orange UK after 6 months from purchase date. They charge £20.00. You can pay via Orange UK top-up or via credit/debit card. Anonymous, 20 Jul 2013I'm considering buying this phone. How can I unlock it, please?Orange san diego is available as Xolo x900 in India. You can buy Xolo x900 instead. I own this device and it's a great experience. Anonymous, 20 Jul 2013I'm considering buying this phone. How can I unlock it, please?The easiest way is to call Orange and ask them, they will charge you £23. 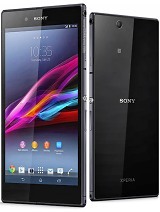 I'm considering buying this phone. How can I unlock it, please? hi ,i just both san diego from england and im in spain,,,but when i put my spanish orange sim card in ,it asks for network sim lock after i tipe pin code.pls help me someone. Total of 112 user reviews and opinions for Orange San Diego.